Monkeys have escaped from UCSD research labs! 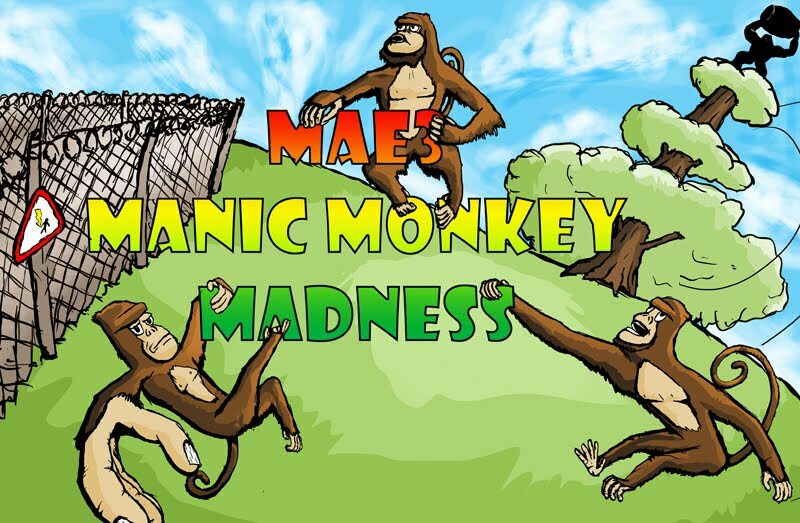 To save the day Aerospace Engineers, Bio Engineers, Environmental Engineers, Engineering Science Majors, and Mechanical Engineers will develop remotely controlled robots to bring back the monkeys to their holding pens. In planning of this operation a contest table, shown below, has been created. Some moneys have taken up dwelling on the ground, others are dwelling in a tree. On top of the tree stands Minime Kong, who has been genetically cloned in UCSD labs from trace tissue of King Kong (rumored to have been recovered by the UCSD National Geographics Engineers for Exploration Program). Your design team will be arbitrarily assigned to either Starting Area A or B. Your robot may maneuver to any part of the playing field during the 60 second contest period. In order to secure the monkeys you need to bring them back to your holding pen and place them on the other side of an electrified fence. Placing a Ground Dwelling Monkey in your holding pen = 10 points. Placing a Tree Dwelling Monkey in your holding pen = 15 points. 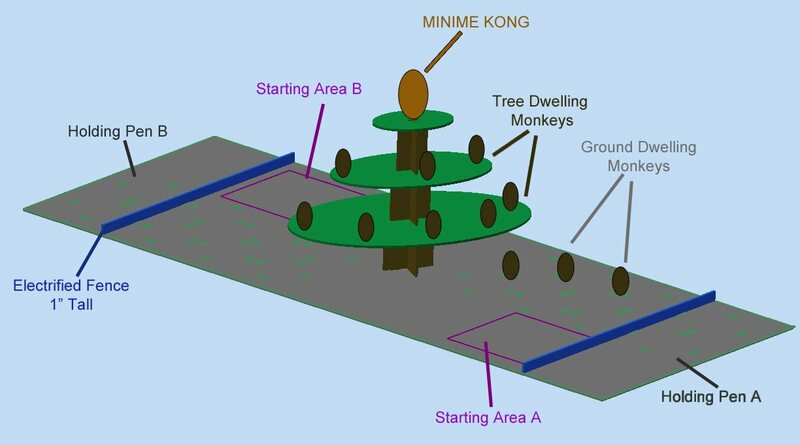 Placing Minime Kong in your holding pen = 50 points. Placing Minime Kong on your side of the table is a tie breaker. Any monkey that falls off the table does not contribute to scoring. All parts of the monkey must be behind the frontal plane of the electrified fence for it to count for points (the frontal plane is closest to the tree). Monkeys can be brought from any side of the table to your holding bin. A monkey that falls off the table will not count towards scoring. The robot starting location is defined by a test box. This test box is 10”x10”x10" 12”x12”x12"
Scoring will take place after the 1-minute contest, and all parts have stopped moving. Only the final location of the playing pieces will count, regardless of what robot touched the pieces. Clear 0.25" acrylic is for testing purposes. If a team uses clear acrylic or acrylic they purchased, they must demonstrate to their tutor that the could rebuild their robot from the original kit parts. The paper cover on the acrylic parts is not to be used as a separate part. If it is detached form the acrylic it must be discarded. Fasteners can be used only for fastening purposes, and thus must fasten at least two other parts together.